PST Locator Tool is most widely used Software which locate Outlook PST files in Configured system. Auto-locate & Display list of PST Files with their attributes. Save Selective PST File on the Local machine. Support both files types of ANSI & UNICODE PST Files. Installation of MS Outlook is necessary to locate PST files. PST Locator supports all MS Outlook 2013 & below versions. Software locates PST file in a form of a list and display properties of PST Files stored in the system. Software quickly locates all pst files. After locating & listing PST file of local the system. PST Locator will show the total count of PST files founds, this information helps user to determine total number of PST files stored in the system. Software display PST files as a list and show details of attributes related to PST Files. Details of outlook file are machine name, the size of pst files in GB, file path. The User can select specific or all PST files located by software on the local machine. By default, the software will export all the PST files at a time. Software easily locates the PST File in the system and user can take backup of files by saving them in the desired location in the local system. PST Locator Tools support any available version of Window Operating system. 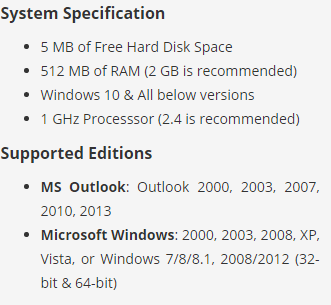 It also supports MS Outlook version 2013 and all its below version. PST Locator - A Close Insight! A Outlook PST Locator Tool helps the user to locate all PST files stored on the local system. The software automatically detects pst files and display them in window interface with all details of such as File name, Profile name, Size, Creation date etc. Now user can easily locate multiple PST file of their system without stored in the different location. A user can save the Outlook PST Files in the desired location in the system. Software give the details to user about total number of PST Files. Sometimes MS Outlook user works with multiple profiles and PST data files stored in the different location. Sometimes user not able to locate PST files in their system – for example, user have to transfer messages, calendar, contacts, tasks or notes files urgently. To fix this kind of problem, a user can select Outlook PST Locator to find Outlook PST files and stored as backup in the desired location for later use. Microsoft Outlook (Not configured for Exchange Server) should be installed and should be configured properly for any valid or dummy profile/account. Install & Run PST Locator Software within the system. Now Browse the location of PST File in the local system. When file completely stored in local system. A POP up appears with message "File save to Destionation Path successfully". Click Yes to Close the Software. Now user can browse the location of PST File to view Emails, Calendars, Notes, Contacts etc. Replies All Doubts & Queries! Can we locate PST files without MS Outlook application installation? What kind of attributes displayed by PST Locator software? Software will display details of PST Files such as File name, Profile name, Size of PST, Creation data, Last accessed. 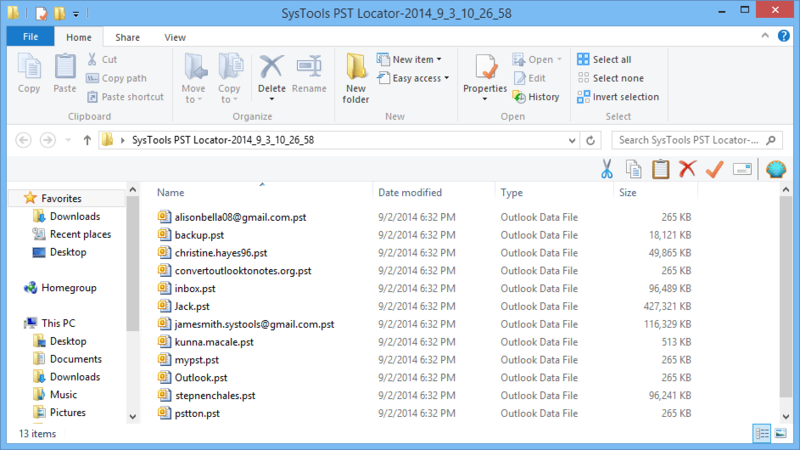 Is Outlook PST Locator locate both format files of PST? Yes, Software can both formats files of PST of Outlook. How Can We Search Outlook PST & OST of Outlook under same Domain rather than in Configured System? 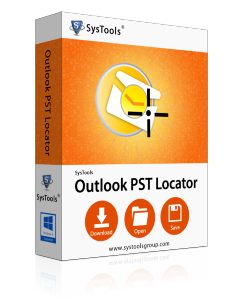 Outlook PST Locator help me a lot to locate the PST Files in the system, within few steps, I can locate all PST files stored in my system and save them in desired for future use. Finally,Get a tool that can locate PST file of Outlook Application and store the backup of PST files with all details of PST files quickly. Features of displaying Outlook PST Files in a list form, help me a lot to view all PST files in a sophisticated manner with all its attributes. While working on another employee system, not able to find Outlook PST File. Download the PST Locator utility and finally able to complete my work within time.